Early in his life, long before he met Alice and plunged down that rabbit hole into Wonderland, Lewis Carroll was given a very curious math problem. It was a simple equation, but it had no solutions in the world of real numbers (the counting numbers, with all their fractions and multiples). All its solutions, but zero, were imaginary! He looked in vain for a way to see them – an imaginary plane perhaps, on which they might be graphed. He couldn’t find one, but we can! 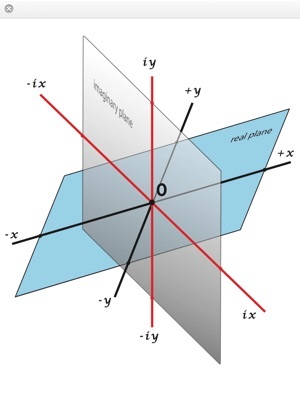 To capture imaginary numbers, we need four dimensions. 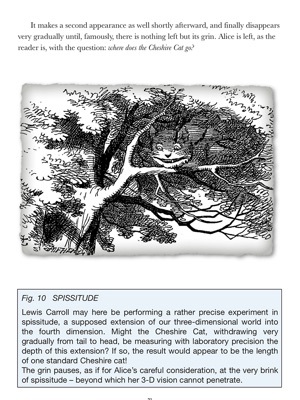 In this book, we enter the world of four dimensions, find the elusive imaginary plane, and with its help, produce the very graph Lewis Carroll was looking for. 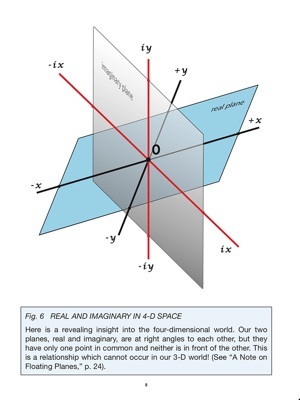 What a remarkably pleasant exercise in expanding our ability to mentally visualize, if not simply conceive, imaginary numbers and concepts related to 'the 4th dimension'. 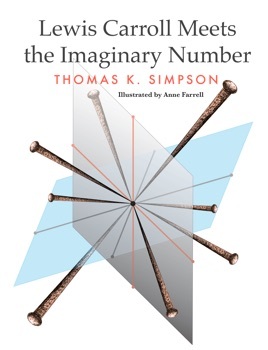 Complete with a video introduction by the author, this concise and entertaining visitation to the world of imaginary numbers is less about mathematical esoterica and more about graspable concepts that would allow us to visualize on beyond our comfortable 3-dimensional world so as to be able to accommodate ideas and explanations that cannot be otherwise demonstrated. The graphics included within the text reinforce the basic premises being presented. It's comforting to have the imagery to reinforce the textual concepts where the author and artist succeed in delivering two different vectors of the same idea; thus allowing the reader the chance to confirm whether they have grasped the concept. 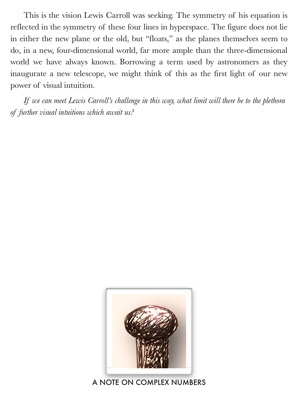 The ideas are profound and potentially perplexing. Keeping the length of the discourse succinct was a wise choice and let's one enjoy the feeling of having not been overwhelmed. Here's hoping we, as the author proposes, do start to be able to think about things in a 4-D framework. Though no higher-math-whiz, I was personally pleased with the careful explanations and reasons behind why we would want to be more familiar with these concepts. 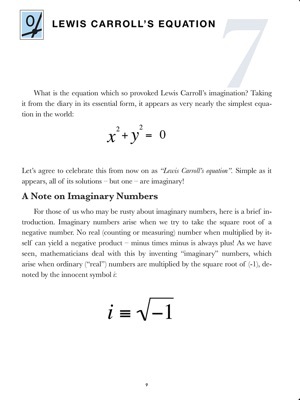 Additionally, I did not know that 'Lewis Carroll' was a math professor, nor was, I aware of his inspirations based in math and embedded in 'Alice In Wonderland'.